I don't often treat myself to proper jewellery, instead I spend my money on costume stuff and then moan when it tarnishes and breaks after a few wears. I do like to ask for a piece of special jewellery at Christmas time though, and I make sure it's something that's going to last. This year I'd like to get a new ring, and I've found some really pretty pieces at *Wharton Goldsmith. 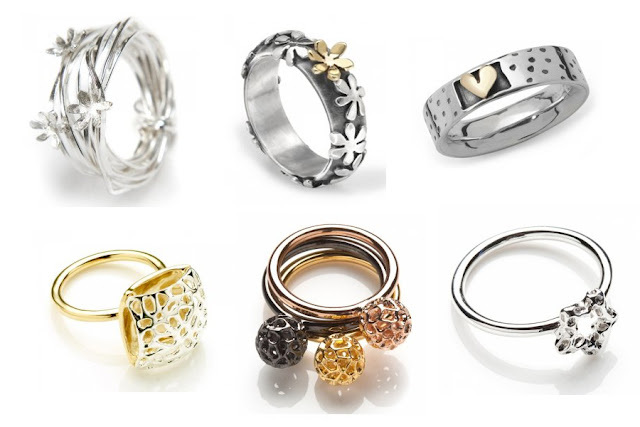 I really like the mini globe stacking rings and the simple silver band with the gold heart. They're all lovely and unusual and I especially like the look of all the mixed metals. Are you getting any jewellery for Christmas?